Your university days are some of the most exciting days of your life. While you’re shooting for the stars and gaining those tertiary qualifications, you’re also meeting some amazing people who will become some of the best friends you’ll have for life. And while it’s important to knuckle down and do your very best in your studies, it’s also important to have a good time. We’re not talking about a quiet dinner and a movie for two, we’re talking about a good ol’ fashioned knees up with some of your closest friends. And we have been told, there’s only one way to really do this properly… and that’s with a Party Bus pub crawl. We know things can get a little tight when you’re a student. Working towards a degree is known to drain the wallet a fair bit and two-minute noodles become a pantry staple. But somehow, students are notorious for still being able to throw a decent party while being extremely out-of-pocket. How do they manage to do this? It’s simple really: uni students are clever about how they party. They know how to have a good time without it costing them an arm and a leg. Party Bus pub crawls offer just that; a cheap but great night out. 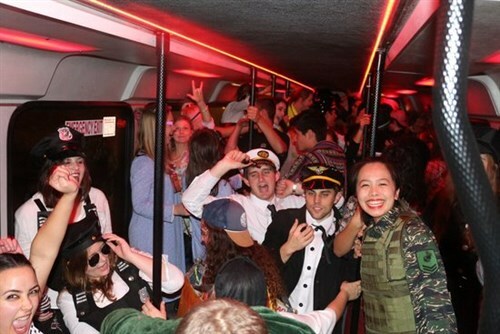 The Party Bus with lights is our most popular bus for Pub Crawls among uni students because, when the cost is split throughout the party-goers, it’s as cheap as chips. It’s common for students to have a handful of bars and clubs that make the favourites list. In a city like Auckland, it’s good to have a select few that you can count on for a good night. And where would we be without those hangouts we can default to when new ones just don’t cut the mustard? This is the best thing about Party Bus pub crawls, you decide where you would like to go. We don’t assume we know better than you. So talk amongst yourselves and let us know the route you would like to take on your pub crawl. Your university days might be the only time in your life when it’s acceptable to choose any night of the week to party. Somehow, Uni students can soldier on through their lectures even if they’ve been up partying all night long. Things change when you’re out in the workforce, so embrace this time in your life and party up on a school night. Wednesdays and Thursdays are great nights to hit the town. While everyone else is tucked up in their beds, head out on a Party Bus with your mates and dance the night away. We also think that any excuse is a good excuse for a night out with Party Bus. 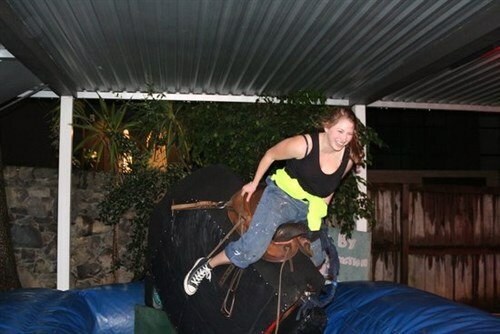 You don’t need to wait for O’ Week, holidays or a cheeky night out during a study break. Mid-week, weekends, you name it and we will be there. 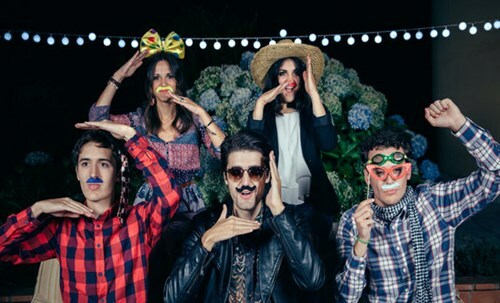 Once you’ve made the commitment to party, take things up a notch and turn it into a dress up party. Whether you like to admit it or not, everyone loves an excuse to dress up. It brings out the imagination in us all and, from our experience, dressing up makes people party harder. We have seen many different themes throughout our Party Bus lifetime, but one that sticks in our minds as the most popular for Pub Crawls among uni students is the Superhero theme. Perhaps this is because you don’t need to stick to the usual suspects. You can create your own Superhero with the powers you think are most important! Dress-up ideas are limitless. Go with whatever inspires you! 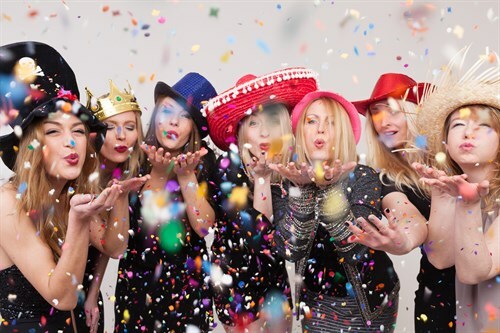 If you’re looking for something a bit different to do with your friends, give Party Bus a call and book a pub crawl. All you need to do is let us know your pick up and drop off points and the bars you’d like to visit during the night. 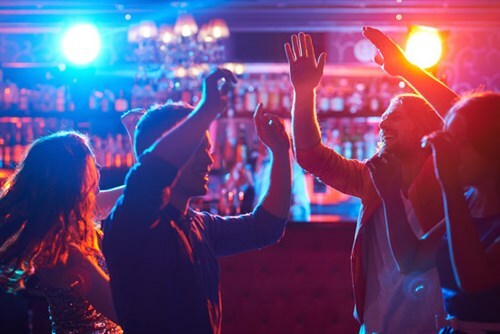 Whether it’s end-of-exam celebrations or just a mid-week get-together, a Party Bus pub crawl is the perfect way to get out and make the most of your precious uni days.